A ‘people-first’ approach and an inclusive workplace culture, strengthened by employee trust, has seen 99X Technology being named one of Asia’s Best Workplaces for 2018, by the Great Place To Work® Institute. The company made its mark among over 1,200 organisations that participated in the survey process, representing the voices of more than two million employees across nine countries. Although a regular entrant on the Sri Lankan index of great workplaces, this marks the 99X Technology’s second foray into the regional list, having previously been listed on the Asian index back in 2015. This places the company amongst regional and global giants including Cisco, Salesforce, DHL, Hilton Worldwide, Omnicom Media Group, Godrej Consumer Products, The Oberoi Group and more. “Our greatest asset has always been our employees and over the years, we have striven to take every measure to create a workplace culture that fuels our people’s passion and innovation, in which they can truly unlock their full potential. Continuously strengthening and bettering this ecosystem is something we work on unceasingly. It is therefore extremely encouraging to have these efforts validated by Great Place To Work® and be recognised among the best workplaces in Asia,” observed 99X Technology Co-Founder and CEO Mano Sekaram, while commenting on this achievement. Some of the pillars of this ecosystem include a flat organisational structure with self-organising teams, the creation of ‘blue oceans’ that let employees challenge themselves in areas outside their core job roles and encouragement of ‘leaders without titles’ that inspires people to take on new responsibilities irrespective of their job role. Yet, it was some of the company’s smaller initiatives, such as the ‘Six Pack Factory Challenge’ – a company-wide fitness competition, and ‘ShoutOut Boxes’ – an innovative way of receiving employee feedback anonymously, that really helped 99X Technology stand out among the rest. The 65 companies that make up the 2018 Best Workplaces in Asia list outshone the rest in their commitment to caring for their employees and providing environments where they can thrive. An impressive 92% of employees at this year’s best say that their company is a great place to work. “The 2018 Best Workplaces in Asia are an inspiration to organizations around the globe. These companies live and breathe the For ALL philosophy by building meaningful experiences for every employee and by positively impacting their communities,” said Great Place to Work CEO Michael C. Bush. Since 2015, Great Place to Work has identified the top organizations that create great workplaces in the Asia Pacific and Middle East regions through publishing the annual Best Workplaces in Asia list. The list recognizes companies in three size categories: Small & Medium (20-500); Large (501+); and Multinational. To be considered for inclusion, companies must appear on one or more of the national lists in one of the nine countries represented on the list and meet the minimum quantitative threshold on the Trust Index© survey. The survey period for the 2018 Best Workplaces in Asia list took place between 2017-2018. 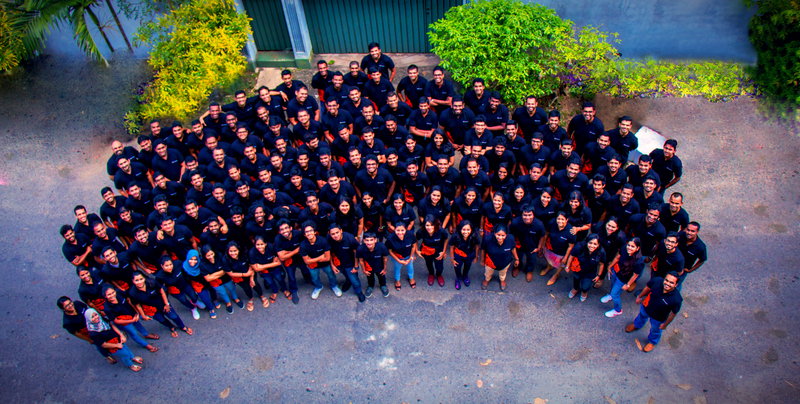 Headquartered in Sri Lanka with offices in Scandinavia and Australia, 99X Technology has been adjudged one of Asia’s best workplaces and is a regional leader in Agile software product engineering and technology innovation. Its expertise has been proven through a 150+ portfolio of successful globally serving software products developed since 2000, by partnering with leading ISVs across Europe, Australasia and USA. 99X Technology has been ranked as a Great Place To Work for in Sri Lanka for five consecutive years, and is among the first IT companies in the country to enter the Great Place To Work Hall of Fame (2017).